Kansas City, Mo. 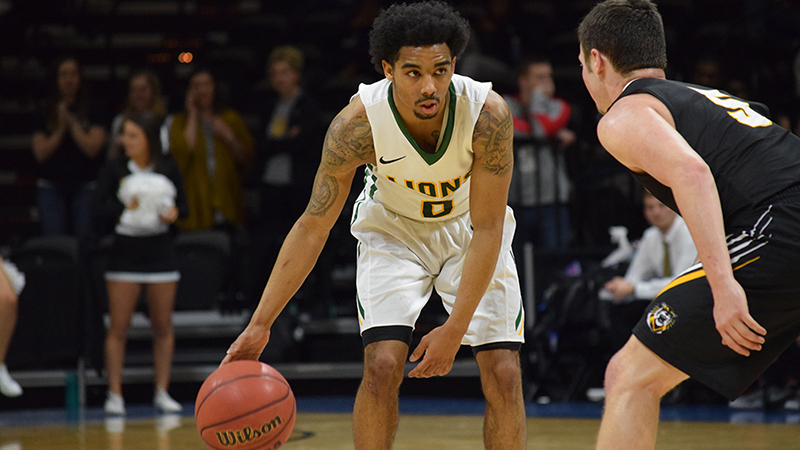 — Missouri Southern senior guard CJ Carr has been named the MIAA Men’s Basketball Player of the Week as announced by the league office today. Carr, a 5-8 guard from Davenport, Iowa, helped the Lions to a perfect 3-0 record including a win over previously undefeated and No. 1 ranked Northwest Missouri. For the week, Carr averaged 24 points, 6.0 rebounds, 5.7 assists, 1.7 steals and shot 49 percent from the field, 48 percent from long-range and 81 percent from the free throw line. Carr started the week with 26 points, six rebounds, and seven assists, while shooting 10-11 from the field and 6-7 from long-range in a 110-74 win over Randall. Against Northwest Missouri, Carr helped lead a comeback that saw the Lions erase a 15-point deficit and lead by as many as ten twice in the second half, scoring 27 points with five rebounds and four assists. In the win over Missouri Western, Carr scored 19 and added seven rebounds in yet, another, Lions’ comeback. Carr and the Lions are on the road this week with games at Lindenwood on Thursday and Lincoln on Saturday.